Mel Mansfield says her Wasps Netball squad are determined to get back on track after a dramatic loss in the final seconds last time out. The Black and Golds suffered their second defeat in three games against Loughborough Lightning on Monday night, which saw them knocked off the top of the table for the first time this season. Mansfield’s side will now travel to the new league-leaders Manchester Thunder on Saturday 23 March (5pm centre-pass). It will be the second occasion that the two sides have faced off this month, after Thunder handed Wasps their first loss of the season when they met at Ricoh Arena two weeks ago. The race for a top-four finish is heating up in the Vitality Netball Superleague, with six points separating first from fifth position. Mansfield says the team know why they fell short against Loughborough and are working hard in training to right those wrongs, as they go in search of a third successive Superleague title. She said: “We weren’t good enough against Lightning on Monday night and we know exactly where we need to improve. “It’s important you know what you do right when you win and what you do wrong when you lose. “The players are determined to put it right and we’ve seen a very positive response in training this week. “This is all part of the journey, every season has its ups and downs, and it’s all about how you respond. Thunder came away 64-55 victors when they faced Wasps in the reverse fixture and are now on a three-game winning streak coming into Round 11 of Superleague action. Mansfield added: “It hasn’t been long since we last played Thunder and that last match is still fresh in our minds. “They are one of the in-form teams in the league right now and we will be up for the challenge. “Every game is important and the big games keep coming at this stage of the season. “We have made too many errors in the last couple of weeks, and that has been our downfall. We need to iron those out. “This is a team game and we have all taken responsibility for the loss on Monday against Loughborough. Wasps Netball’s Mel Mansfield believes her team are set for their biggest test so far when they face Saracens Mavericks. Two-time champions Wasps have opened their Vitality Netball Superleague season with three successive victories – and are still yet to play at their home venue. Wasps will take on Mavericks in their first game at Ricoh Arena this year on Monday 11 February (7pm centre-pass). It will mark the first time that the iconic names of Wasps and Saracens have met away from the rugby pitch. Saracens Rugby bought a 50 per cent stake in the Hertfordshire-based team earlier this year. 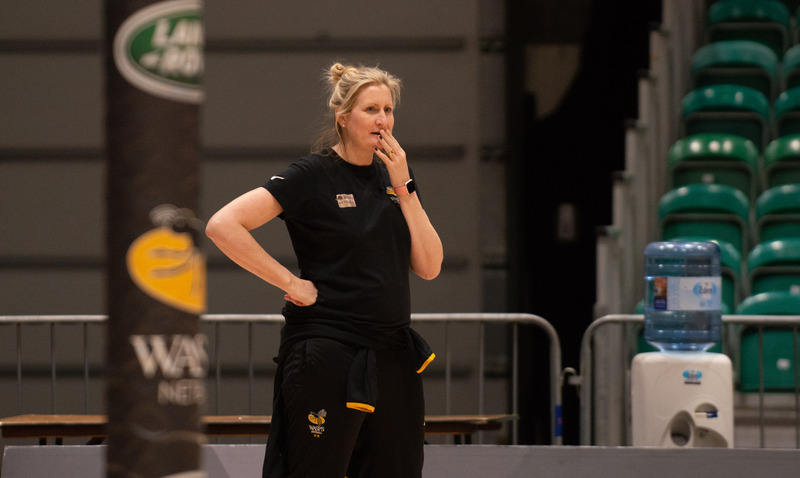 Wasps Netball Head Coach Mansfield says confidence is high in the squad following the impressive win last time out against Surrey Storm but they are aware of the major threat posed by Mavericks. She said: “The players are feeling really good after the win against Storm, our error count was right down and we showed great character to come away winners in that fixture. “What we’re seeing this year already is that you can’t afford to have an off-day in this league and the reality is that to beat Mavericks we have to be at our best. “We might have won three games, but we know there is a lot to work on too. We need to tidy up our play and be more clinical in key situations. Mavericks have enjoyed a successful start to the season with their only loss coming on the opening day against undefeated Manchester Thunder. Wasps are the only other team remaining with an unbeaten record in the Superleague. A wealth of talent will be on court on Monday night, including seven England Roses, and Mansfield has been preparing her side to counteract the Mavericks stars. “Mavericks have got four England players and have one of the strongest squads in the league,” said Mansfield. “But we know we have a very strong squad too and we will be looking for match-ups that help us combat their strengths. Tickets for Wasps Netball vs Saracens Mavericks on Monday 11 February are available from www.waspsnetball.co.uk/tickets. Wasps Netball’s Mel Mansfield believes the Vitality Netball Superleague will be stronger this season – but is confident her side will be up to the challenge. The two-time league winners begin their 2019 campaign against Loughborough Lightning on Saturday 5 January (centre-pass 1pm). The fixture is part of Super 10 and will see all ten Vitality Netball Superleague teams compete on the same day at Arena Birmingham. It will mark the start of Wasps’ quest to win an unheralded third successive league title, and if successful, would become the first team in league history to do so. 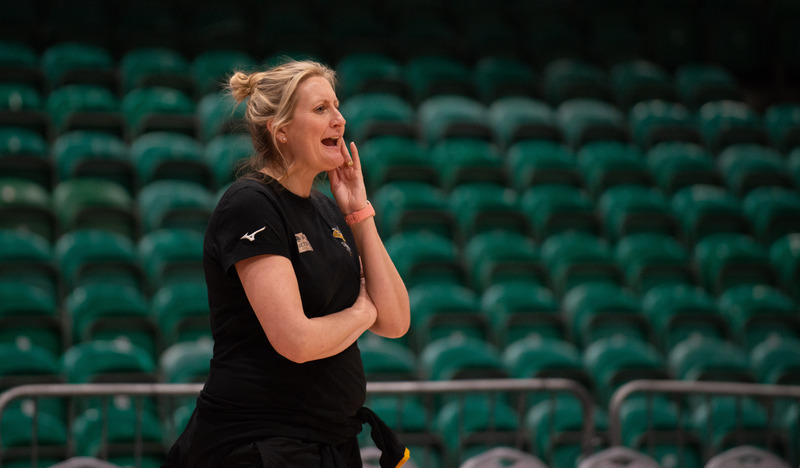 Mansfield will be entering her first season as a Vitality Netball Superleague Head Coach following two seasons as Assistant Coach to Tamsin Greenway. She says that her team are focusing on improving every day but the initial target has to be a top-four finish. “The first title was a sweet victory, in year two the pressure was off a bit but at the moment we’re not thinking about a third title,” said Mansfield. “We are seeing consistent improvements in training and in the last few sessions you can really see connections developing with our new players. “The league has seen some great players arrive and it will be a challenge, but we know that when we are at our best we will be a quality side. “We’re really excited about our new goal attacks Tamsin Moala, Katie Harris and Chloe Essam. They all have the ability to challenge for a spot in our starting seven. When Wasps meet Lightning it will be a rematch of last season’s Grand Final and will see the two teams meet at Arena Birmingham for the second time. The two sides’ first clash at the venue came in the 2017 Grand Final, with Wasps winning 55-51 and taking home the Vitality Netball Superleague trophy, with history repeating itself the following year at London’s Copper Box Arena. Lightning recently appointed former England international Sara Bayman as Director of Netball. Mansfield believes Loughborough will be a force once again this season, despite changes in their playing and coaching personnel. “Of course they’re going to be good, they always are. Sara will no doubt get her team playing some great netball,” she said. “We’ve had back-to-back finals against Lightning, and now we’re playing them in our first fixture. It’s a very exciting fixture, a good opening test for us and I’m sure it will be a crowd pleaser.